Like the new preview image? Probably not as much as you like me making a comic again. Hi Internet! 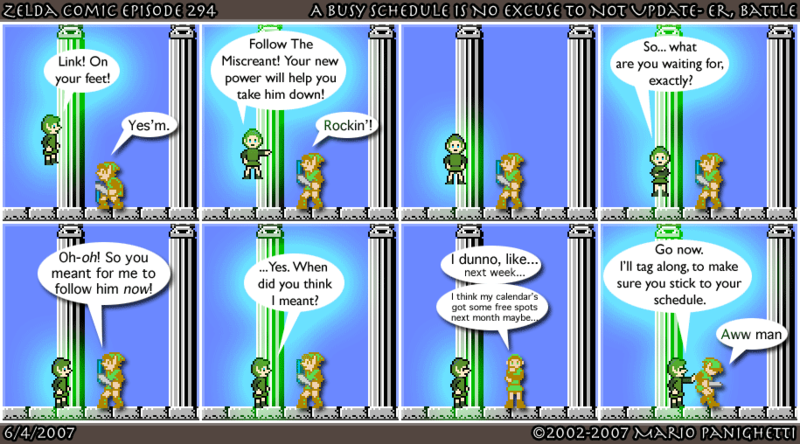 During my unplanned sabbatical, I got a link from a new sprite comic on the scene, Trial Tribulations. It’s a Phoenix Wright sprite comic, so that alone earns it plenty of Mario Points. The writing’s spot-on like the game, down to Phoenix’s murmured asides and the judge being quick to, well, judge. I love it! Read it a lot please. This entry was posted on Monday, June 4th, 2007 at 12:00 am and is filed under Comics. You can follow any responses to this entry through the RSS 2.0 feed. You can leave a response, or trackback from your own site.